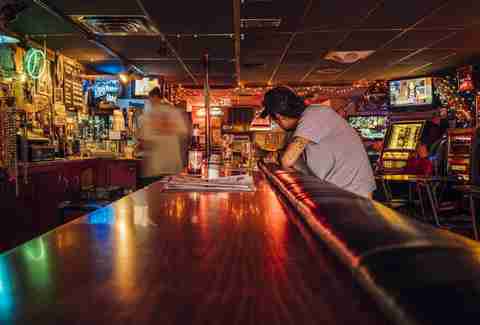 The fabled image of a dive bar is a dimly lit establishment permeated by cigarette smoke and old, spilt booze, and, yes, it is that. 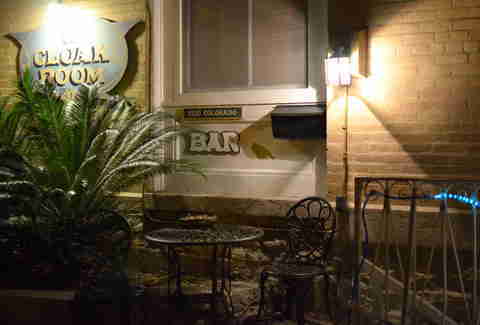 But there’s also the addition of heavy pours and cheap drinks and, typically, some extra element that the regulars take pride in and make them claim that spot as their own watering hole. 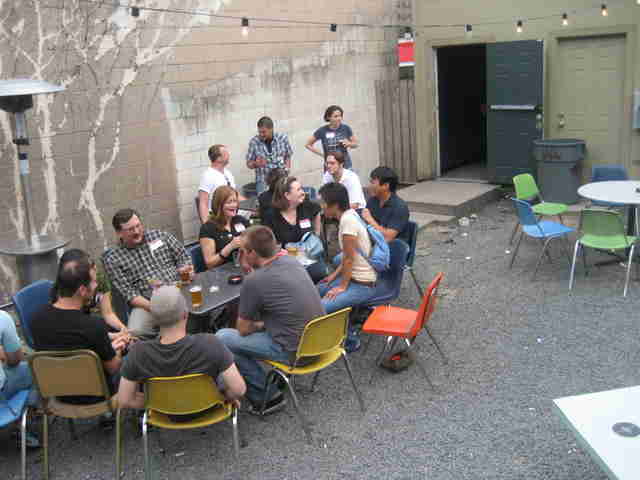 These are the best of Austin’s dark, comfortable dives. Find your favorite to claim. A friend to those on a budget, Barfly’s drinkers can snag a beer for as cheap as a buck-fifty or a mixed drink for a dollar more. Aside from the pocket-change booze, the pool tables, jukebox, and old movies playing on the TV will keep you entertained as you inevitably lose track of time in the complete lack of natural light. 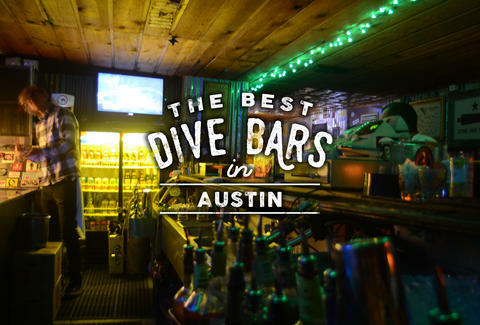 Named after the Deep Eddy Pool located behind the bar, this place has been an Austin dive for 65 years and plays up the nostalgic, comfy vibe with a hodgepodge of pictures, posters, and beer signs illuminated by the glow of hanging string lights. Amidst the quickly changing east side neighborhoods of Austin, Hard Luck has managed to retain its old local charm. 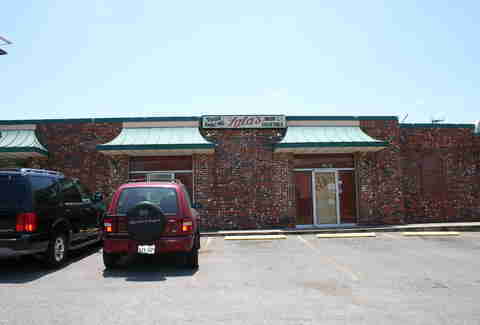 In other words, it’s barebones (think jukebox bolted to the wall and a single pool table in the back), no one knows your name when you’re drinking there, and you should love the bar all the more for both of those reasons. Grab a pint and escape to the backyard beer garden for live music throughout the week. From the outside, this neighborhood bar looks like it closed down years ago, but inside it manages to be a little more inviting. The bar is stocked with a great selection of liquor and an even better selection of beers, both on tap and in the bottle. Drinking alone? G&S’s roaming dogs will keep you company. When a bar looks like time stood still on Christmas in the '60s, it easily gets our vote as a fantastic dive. Lala’s is decorated for Christmas all year round along with a mishmash of NFL pennants and old caps. The drinks are cheap, the bartenders are friendly, the jukebox is loaded with a vast selection of doo-wop and rat pack crooners, and you’ll get into the holiday spirit when you walk through the doors... even when it’s 100-degrees in July. Just a block off of the madness that is “Dirty 6th,” Side Bar redefines cheap, strong pours that are the dive bar standard. The bartenders’ heavy hands are so well-known that the over-the-top serving has even earned itself an Urban Dictionary listing for “ridiculously excessive.” When you’re on your fourth hour trolling the jukebox, remember that we warned you. 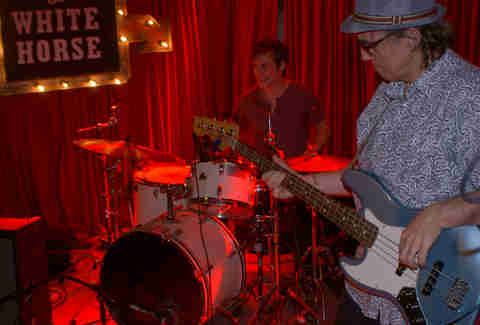 St. Roch’s bring a little NOLA to Austin with their Louisiana Cajun culture. The low-key bar hosts crawfish boils, doles out the occasional lagniappe food, and throws Saturday Cajun Jams, giving it a decidedly French Quarter dive-vibe. Just avoid the spot on Sundays if you’re not a Saints fan (Go Texans!) as it’s Austin’s official viewing bar. If your immediate reaction to The Cloak Room is to tell us this subterranean, Texas State Capitol-adjacent bar isn’t a dive, let us make the case. Low light? Absolutely. Snappy, sassy bartenders? We love them for it. The occasional sketchy patron? Politicians! A solid variety of whiskeys? Pull up a stool. It even gets bonus points for being not much larger than the average Austin apartment’s living room. The only thing we like more at bars than cheap drinks and typically non-existent covers is that heavy odor of fresh, buttery popcorn that is singular to movie theater lobbies and the best dives. 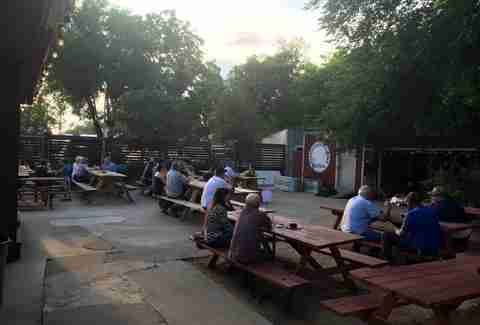 Luckily for us, White Horse has all three, as well as a stage for live bands, a small patio with a great taco truck, and a bar running nearly the length of the building so there’s plenty of space to belly up all night long. Mike Cortez is an avid writer and photographer in Austin as well as the author of the book “Beer Lover’s Texas”. He loves craft beer, good whiskey and great food. Check him out on Twitter @TexasBeerGuide and share in his love for beer.